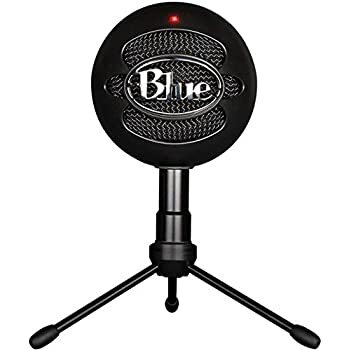 Amazon's Choice for "blue yeti"
Perfect for podcasting, voiceovers, interviews, game streaming, vocals, musical instruments, field recordings, conference calls, and more. Sold by CHEN GU ONLINE and sent from Amazon Fulfillment. Item cannot be returned, I have no responsibility of how the item's condition will appear when it has arrived,this will be at fault of the shipping company..I will send this in the condition I have said it is in. 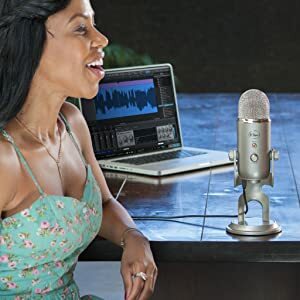 Well-suited to podcasting, game streaming, Skype calls, vocals and instruments, cardioid mode captures sound sources that are directly in front of the microphone. It delivers a rich, full-bodied sound. 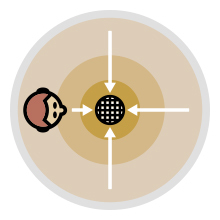 Omnidirectional mode picks up sound equally from all directions. Great for conference calls, it is best used in situations when you want to capture the feeling of 'being there'. 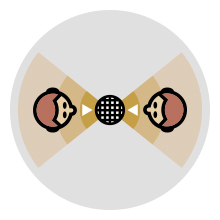 Bidirectional mode records from both the front and the rear of the microphone. 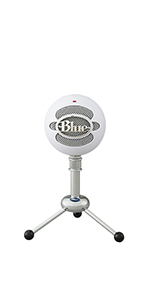 It is ideal for recording or streaming an interview between two people. The stereo mode uses both the left and right channels and is ideal for capturing a realistic sound image when there are multiple sound sources in front of the mic. 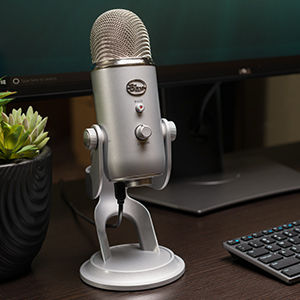 With its controls for headphone volume, pattern selection, instant mute and microphone gain, Yeti puts you in charge of every level of the recording and streaming process. 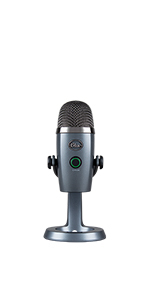 If you are recording a loud source, simply adjust the microphone's sensitivity with the gain control. Or, if you want to take a break in the middle of a podcast, use the instant mute button. 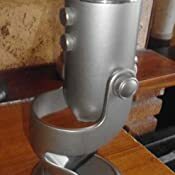 The desktop stand is designed so you can adjust and pivot the microphone in relation to the sound source, improving sound quality. Once you have it at a desired angle, you can use the set screws to secure it in place. 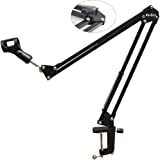 For the ultimate desktop studio, Yeti can be removed from its base and mounted on the Radius III shockmount and/or the Compass desktop boom arm. 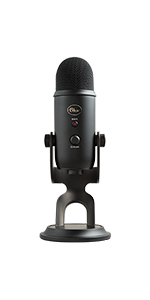 ORIGINAL REVIEW: A very good and solidly built Microphone. 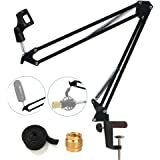 -The provided mount is solid and will not tip over. -The gain range is massive and the different pickup modes allow for great versatility. 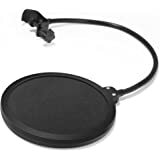 -A cheap pop filter designed to fit around a round portion of a Microphone will happily clamp onto the side of the sturdy Blue Yeti frame. 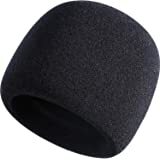 -Having a mute button is very handy when you need to mute the microphone (E.g. Phonecall). 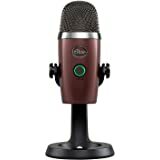 -This is not an easy microphone to setup, the instructions that come with it aren't great and out of the box it will be too sensitive and pick up absolutely every little noise in the room. (Tip, set it to Cardioid mode and turn the gain (both on the Mic itself and the one on the sound page on your PC) right down). -This is not a small microphone. At all. Including the stand, it's about 30cm tall and 12cm wide. -Don't attempt to angle the microphone. It is designed to be used upright and will pick up lots of background noise if you move it (like the quiet hum of your PC, this is not an issue when it is upright). 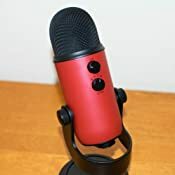 UPDATE: The microphone has suddenly died (none of the internet's help fixed it, it simply won't record anything except it's own interference, tried assorted different cables, powered USB hub, uninstalling, even trying another computer!) from light use (about 8 hours a week use spread over 3-4 days) after less than six full months. 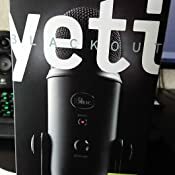 This is extremely disappointing for the price and I'm back on my old cheap microphone I originally bought the Yeti to replace. 5.0 out of 5 stars100% worth the investment. Wow, what a mic. I've been recording on my iPhone and thought it sounded okay, or at least good enough. 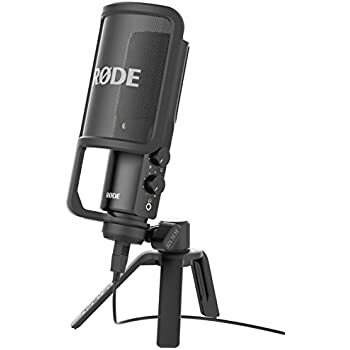 I purchased a Rode clip on, but wan't too impressed with the overall difference it made, so ended up sticking with the built in mic. 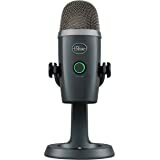 I wasn't sure about upgrading to an actual mic because I'm so new to recording audios and wasn't sure it was worth the investment. Boy was I wrong. The clarity in the recording is just unbelievable. 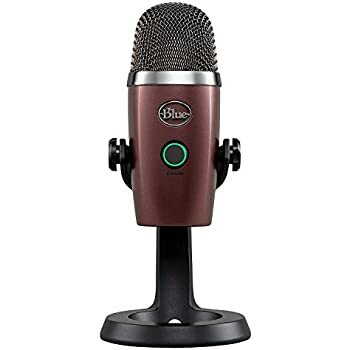 The problems I have with my voice, such as it sounding weak and high pitched, seems to have been minimised with this microphone. I actually sound 100% better and editing has become necessary. So pleased with this gem . Im a gamer, i pretty much only do that and its my main hobby. 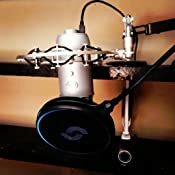 I play often using headsets with mics, or a cheap desk mic. I would forever get complaints they cant hear me in game no matter what i tried! Im not a loud speak. 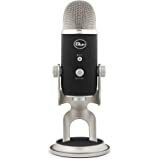 This microphone is awesome, i was sceptical at first as i thought maybe it would obscure my view being large but its fine. 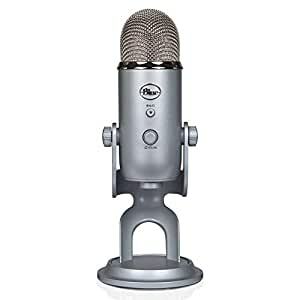 People in game now ask me what mic i use and they love my voice, sadly i live with depression so i dont get to use it everytime as i would like! 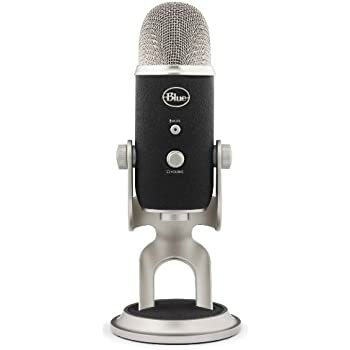 I think for anyone podcasting or stuff this purchase you would not regret. 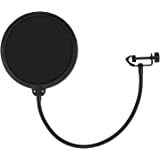 I would like to perhaps try it with a pop filter but im not a full time pod caster so not sure if its really needed or worth buying. Please let me know if you liked my review. 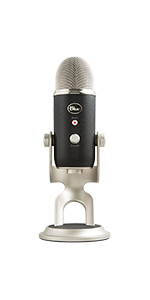 This is my first ever 'Professional' microphone purchase and to say I'm impressed is an understatement. 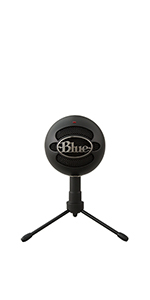 The sound quality and ease of use is incredible, plug in and it's good to go. 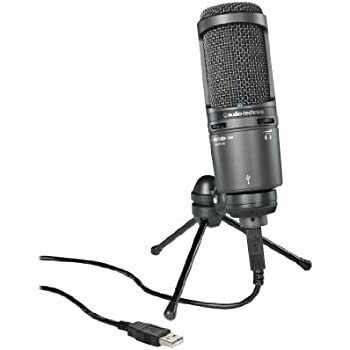 Very very happy with the Microphone and the deal in general. I've seen this blackout bundle on other sites for roughly 160 so spending £99.99 was a no brainer. 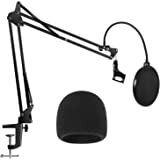 I just need to get a pop filter and a boom arm. 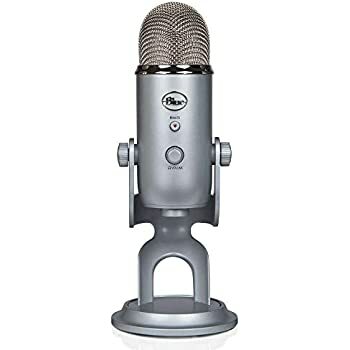 Easy to adjust and change settings on the mic itself and pretty much needs nothing more, if it had it's own software included like a very basic Noise gate/Noise suppression system that'd be pretty cool but I just do all of that through OBS anyway. 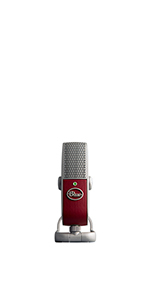 These microphones are absolutely fantastic for the price. The options are amazing, and the microphone works very well indeed. Finding good quality cables, decent microphone holders and stands, and then recording the studio data can be a bit of a challenge however! It is virtually impossible to find a piece of software that will record and manipulate the Surround Sound Data for a reasonable amount of money: many of the vendors offer free trials that do not work properly, and then try to sell you Studio Programs that cost hundreds. I strongly recommend a program called "Audacity"in its various forms as a starting point, simply because it actually works! Unless of course you already Sony Sound Forge and know how to smooth your recordings from stereo mikes into Dolby Surround Sound etc. P.S. If you have a computer with Windows 7, Windows 8, or Windows 10 be prepared for a rocky road with your USB microphone acquisition data drivers. I had to re-install mine several times before I found the correct one (and do a little bit of fiddling around with the system) there is lots of help for this on the interweb. The problem was not the mike, or the drivers in the end - it was yes, you have guessed it with Microsoft Windows. Make sure that you set ALL of the volume controls to about 10% when you start fiddling about or the Windows will blow everything. There may be some system configuration changes to make.